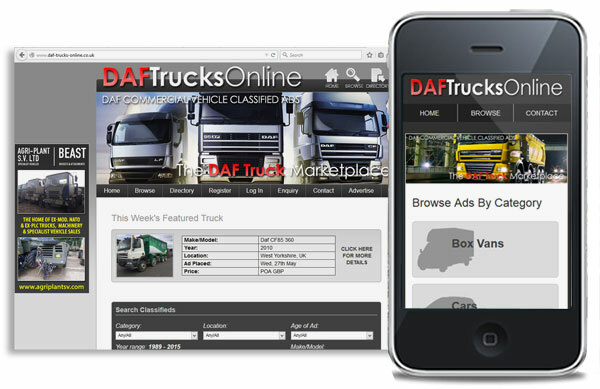 DAF Trucks Online is a dedicated commercial vehicle marketplace, updated in real time with 100s of vehicles listed. Available on the web, mobile optimised app, and through Facebook via our custom Apps, DAF Trucks Online offers maximum exposure to its dealers with thousands of unique daily worldwide visitors. Advertising rates start from as little as little as 300GBP for Unlimited Ad Placements, with no hidden costs or surcharges.